Buveur D’Air provided an emphatic response to those who believed Samcro rated a strong challenger to his Champion Hurdle crown when romping home eight lengths clear of last season’s Ballymore Novices’ Hurdle hero in the Fighting Fifth at Newcastle. Despite Samcro receiving the run of the race in front, Buveur D’Air never looked in serious trouble and loomed alongside before the last hurdle like a true great. 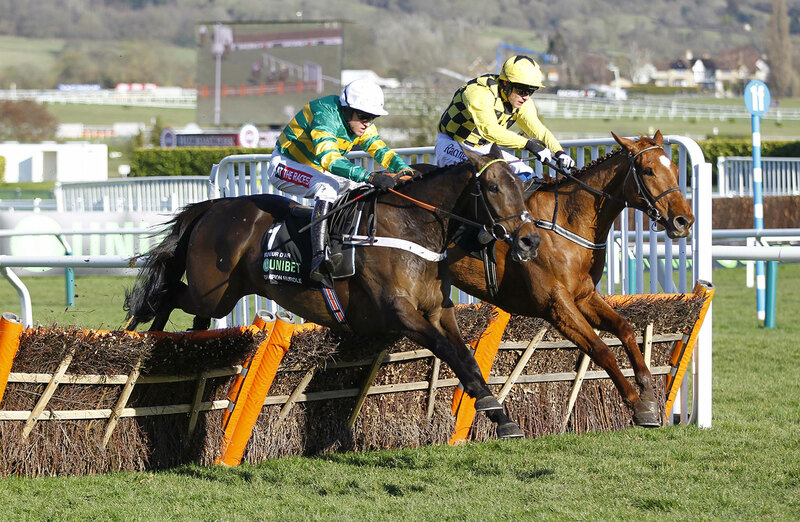 He is a best-priced 11-10 for the Champion Hurdle with sponsor Unibet, having been available at 5-2 before the race. Samcro is out to 12-1 (from 9-2). This was a day to recall Sea Pigeon, Birds Nest, Gaye Brief and the rest of the Newcastle heroes of yesteryear and to revel in their modern-day equivalent. Buveur D’Air has not put a foot wrong in the last two seasons and his dual Champion Hurdle victories, as well as this performance, marked him out as a true top-notcher. He looked potentially better than ever, in fact. That was the view of the racegoers who crowded the winner’s enclosure to cheer him back and of JP McManus, who knows a thing or two about multiple Champion Hurdle winners from his Istabraq days. “I have an awful lot of respect for Samcro but Barry seemed to be happy enough,” said the owner, whose 100-1 shot Bleu Et Rouge fell fatally four out. Buveur D’Air, who started at odds-against for the first time since his first Champion Hurdle in 2017, had beaten four rivals at 1-6 in this race 12 months ago and Geraghty was delighted with the hurdler’s seventh Grade 1 success. “It was a much bigger test today and he got it done really well,” he said. “Apart from the last that he rubbed a bit, he jumped really well and he travelled sweetly. They went a nice even pace and Samcro made it a test, but he’s very good and it was a great performance. 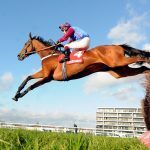 “That’s along the lines of his Champion Hurdle form – for a first run to do what he did today in a really strong race. He’s only seven, rising eight and he’s entitled to improve and maybe the wind operation helped as well. As last year, Nicky Henderson was an eager television viewer at Newbury and he was delighted with what he saw. 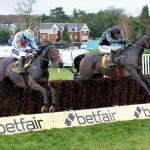 “That was special,” said the trainer, who’d suffered disappointment with Might Bite in the Betfair Chase at Haydock seven days earlier. “After last weekend you worry about how straight they are. They are winning lots of races, but then you start playing with the big boys in big games and you start thinking how ready are they. “I was fully ready for another bloody nose to be honest with you and I was very nervous. If he was ever going to get beaten it was today, which I was prepared to accept. I didn’t want to, but he’s gone above all expectations.